I am a lover of challah bread. 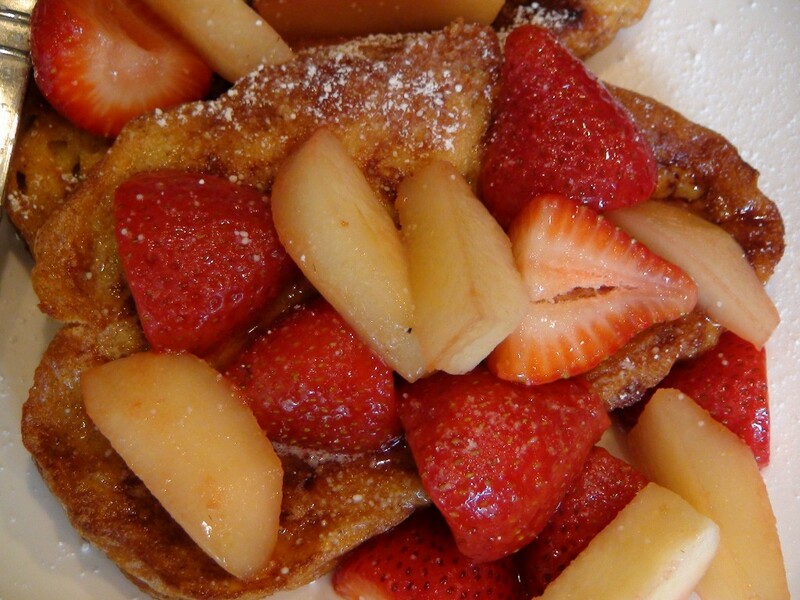 I am a lover of cinnamon french toast. The strawberries and pears was just my way of sticking to the WWW.SHEGOTFLAVOR.COM over the top intense flavoristic vibe!! I only use challah bread for my french toast, mainly because of it’s texture and sweetness (it is also great for bread pudding OMG). Whenever I buy a loaf of challah bread, I take a big smell because it smells so heavenly. My husband and I both love the cinnamon french toast at Silver Diner. 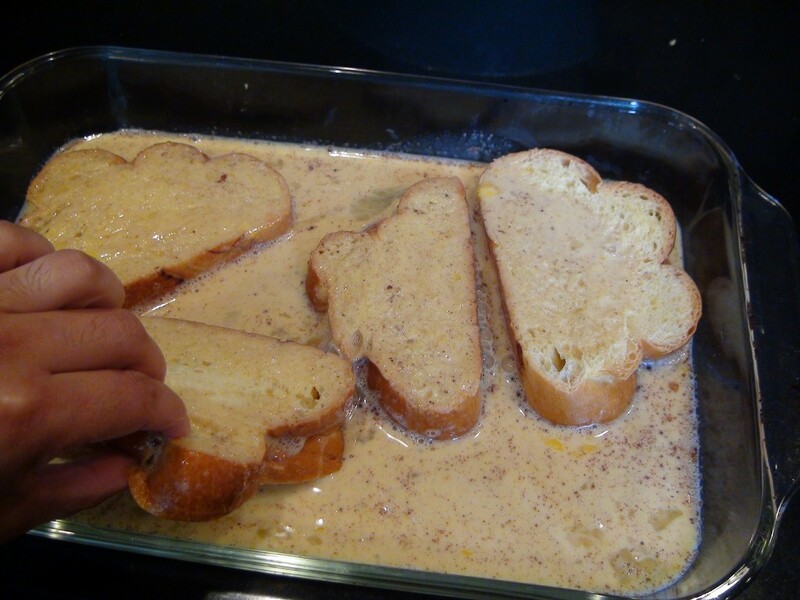 So of course, I had to recreate and tip the scale on my own french toast at home!! So many dishes seem unattainable at home but once you try it you see WOW, I can do this at home!! This really is a 1 – 2 – 3 recipe. Hope you enjoy it and make it often! Enjoy, Enjoy and one more Enjoy! So much love, so much joy, so much goodness YUM! 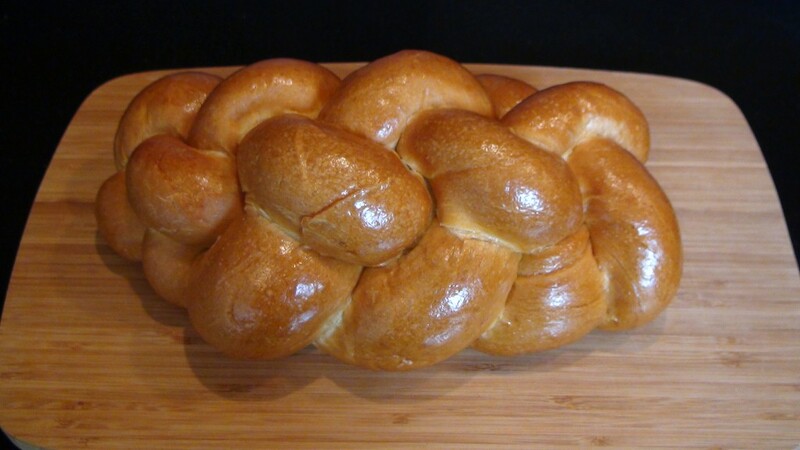 Love me some sweet challah bread! YES! Flavorful Custard, pour it all in BABY! Let it soak let it soak let it soak! Don’t forget to flip these babies so both sides get the custard love! 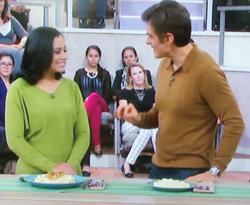 Hi there Toni, nice to see you checking out other recipes. 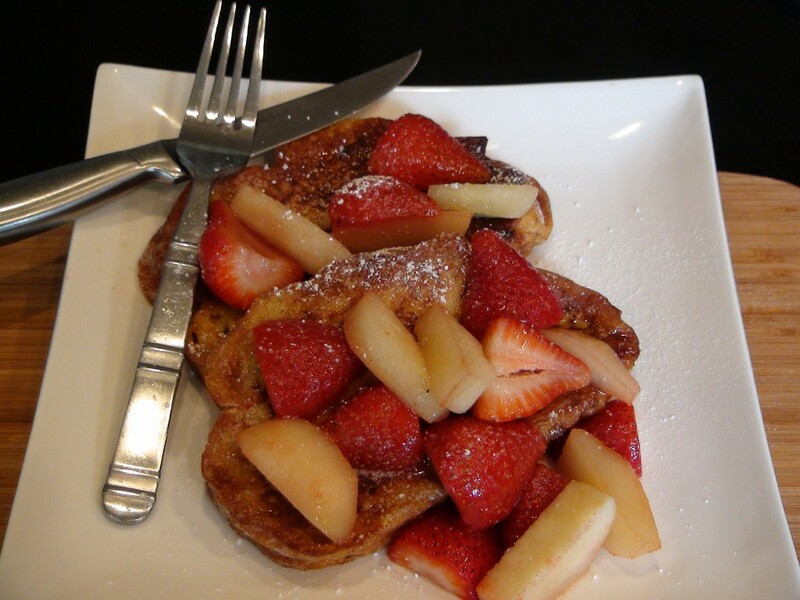 Yes the Challah bread is a nice touch to french toast and well the strawberries and pears, PERFECTION!! I made this for the fam 2 Saturdays ago. When I brought the Challah bread in the house my wife was like, “You’re not gonna try to cook something again are you? Well, I suppose you can’t mess up bread.” LOL. Much to her surprise it turned out great. 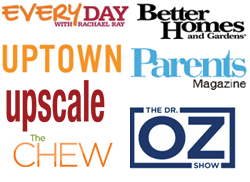 The litmus test was my notoriously finicky kids. Not only did they enjoy it but they even asked for more! I’m going to give the grits & Italian sausage a shot this weekend in celebration of my wife’s birthday. 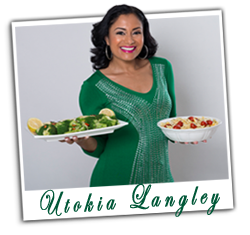 Thanks for the inspiration and great recipes Utokia. 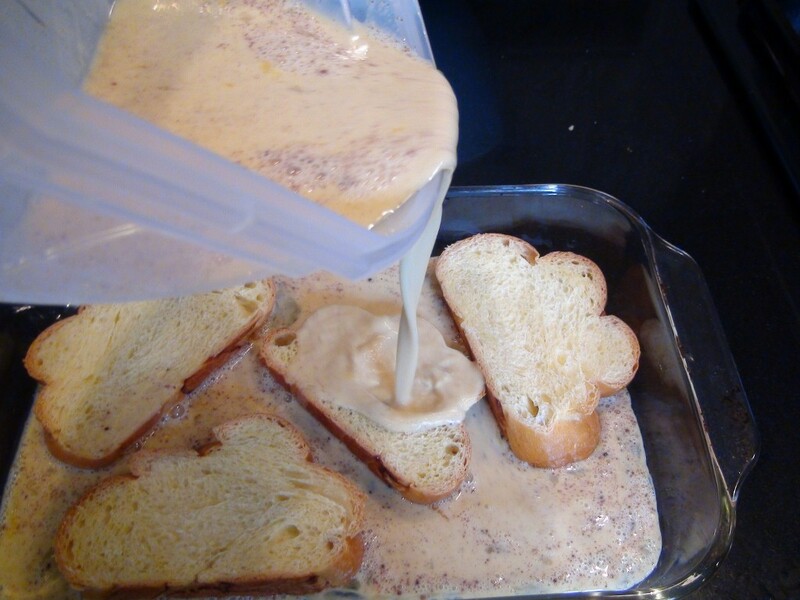 Oh the french toast looks lovely. I bet the taste was lovely as well! This is a great anytime meal. I love the mix of strawberries and pears and I would even have it as an dessert. This is what I’ll be serving for Sunday Brunch with my Mother’s Day family and friends!!! 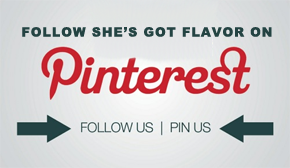 Here’s to “She’s Got Flavor” Who’s always serving up great flavor in your home! !